You have purchased a new machine or taken on a new part. does not produce the results you need. programming knowledge between jobs creates inconsistency. Shorter lots sizes and shorter deadlines require more productivity. Reduce your programming time and produce consistent, high quality results. Automation tools like automatic feature recognition (AFR) help to make part programming faster. AFR is able to scan, identify and create features from your design automatically. 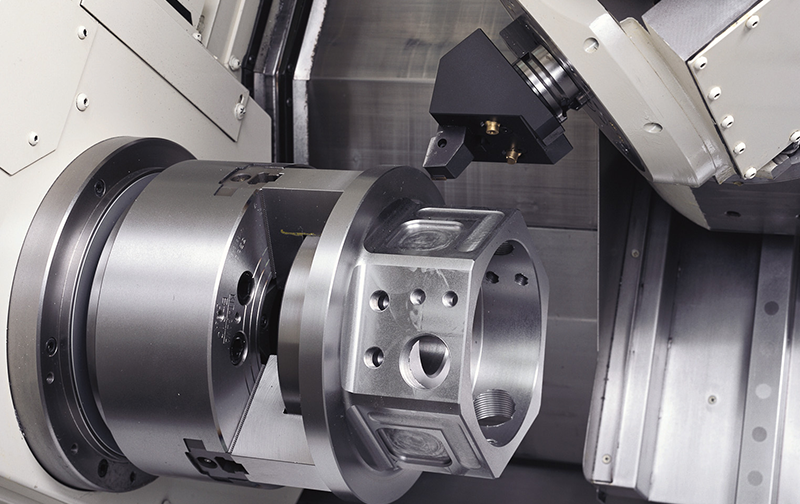 The features created contain associative machining operations with all of the information required to begin machining. 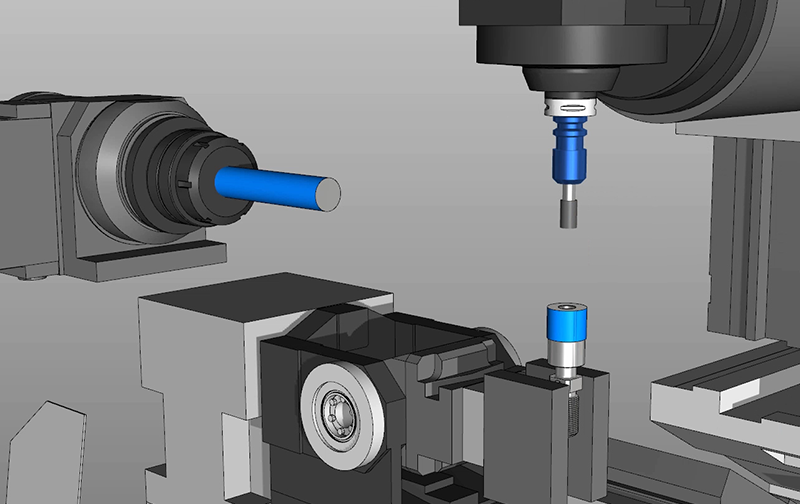 Quotes and cost estimations can be prepared quickly and you can begin machining your parts faster. FeatureCAM has been a blessing. It takes our design, gets the G-code made, and goes into machine in lightning time. Creating features and operations with automation removes repetitive tasks, eliminating the scope for human error. This increases programming consistency and enables a level of predictability to produce reliable NC code for maintaining part quality. 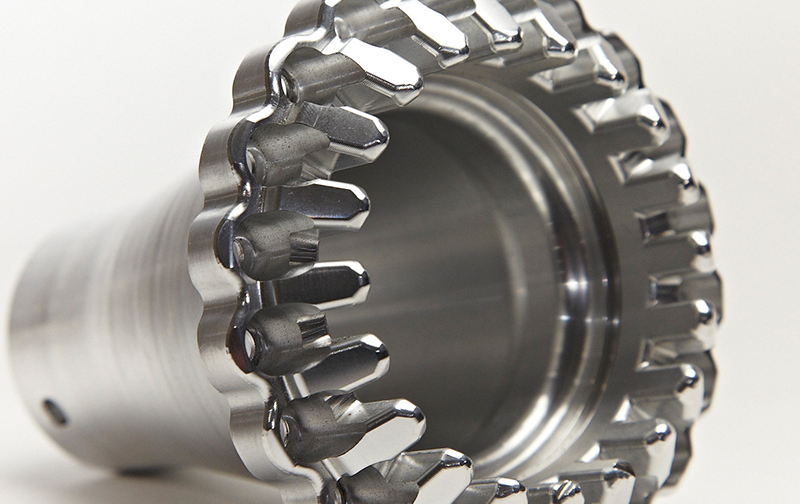 FeatureCAM supports a comprehensive range of CNC applications including milling, turning and wire applications. 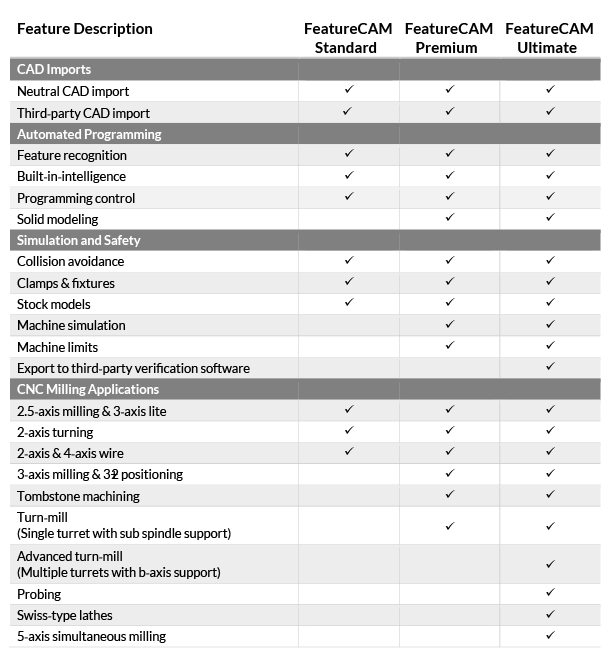 The software caters to the programming needs of 3-5-axis mills, multi-tasking turning centers, Swiss-type lathes, wire EDMs and more. FeatureCAM takes the manufacturing knowledge of the programmer to intelligently make decisions and produce results. This encourages manufacturers’ to standardize their best practices, from existing quality standards and promote repeatability between all employees using the same set-up. Use FeatureCAM collision avoidance tools to create safe, collision-free tool paths. 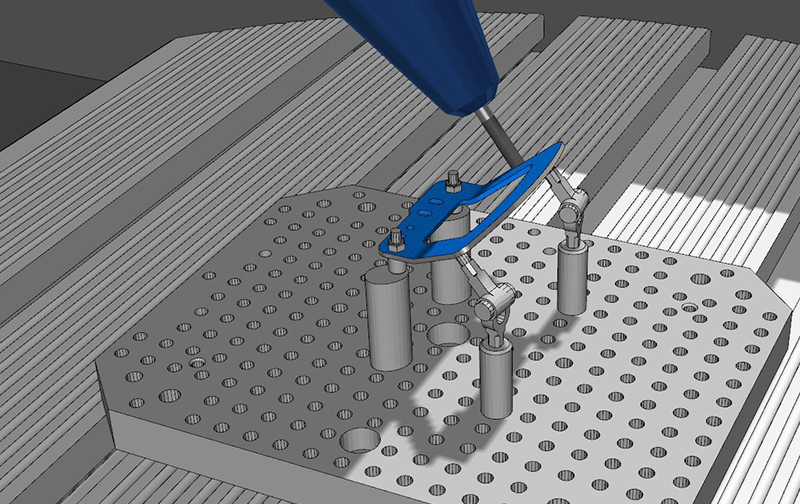 Visualize your programming with machine tool simulation to validate your work prior to machining. Check for collisions that could result in additional cost or machine downtime.